Woman pruning young fruit trees 4K. 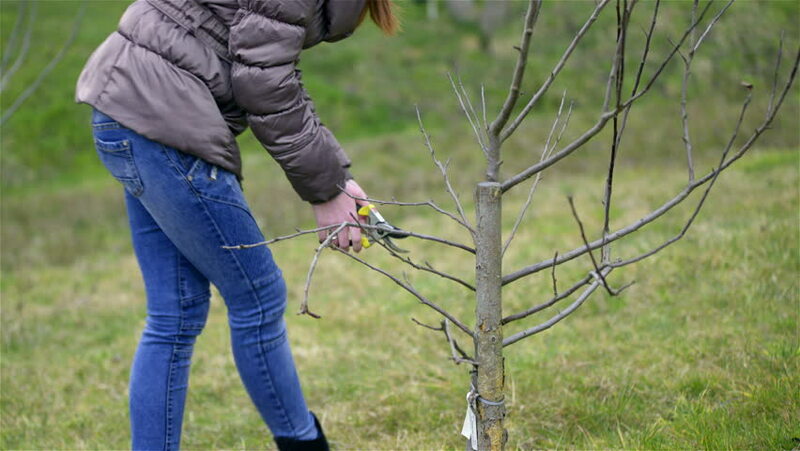 Low angle shot of female person in jacket, blue jeans, and scissors cutting away branches of very small tree. Green background.